On Monday. April 2, at 8 p.m. KETC, the PBS station in St. Louis will be showing the documentary “Margaret Mitchell: American Rebel.” Check your local PBS station to see if they will be showing it. 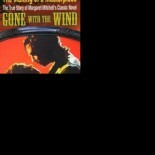 Interest in Gone With The Wind has never been higher. With each “anniversary” more fans are born. All over the country GWTW events are being held. On Friday, April 27 Mickey Kuhn and Greg Giese both of whom played Beau Wilkes in Gone With The Wind at different ages will be will be special guests at the Cherry Blossom Festival in Marshfield, Missouri, a town near Springfield, Mo. They will receive the Edwin P. Hubble Medal of Initiative. The award honors Hubble, the famous astronomer for whom the Hubble telescope was named, who was from Marshfield. All of the surviving cast members of Gone With The Wind are being honored. Gone With The Wind collector Christopher Sullivan will be there as will artist Yakovetic who has painted many picture from Gone With The Wind. There will be opportunities to buy Yakovetic prints and have them autographed. This prestigious award being given to the GWTW cast has been given to U.S. Presidents, First Ladies, actors and others, all of whom have either traveled to Marshfield to receive the honor or they have sent a video acceptance speech, or made other arrangements. Festival organizer the Rev. Nicholas Inman traveled to Texas and presented awards to President George H.W. and Barbara Bush as well as Lady Bird Johnson. In March, Inman, contacted Alicia Rhett who played Ashley Wilkes’ sister, India Wilkes in the movie. Rhett is the oldest of the surviving actors from the movie. “I called her up and had a real nice conversation with her,” said Inman, who added how happy the 97-year old was to be receiving the honor for her work on Gone With The Wind. The Rev. Inman had a pleasant chat with Rhett who told him that because of her age, she could not come to the event but would cooperate. Inman arranged to have someone travel to Charleston to present the award to her, but the director of the senior facility where she lives shut that idea down in mid-planning. 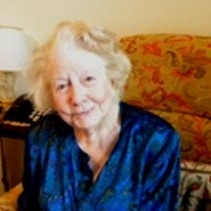 When researching her book The Making of A Masterpiece, The True Story of Margaret Mitchell’s Gone With The Wind, this writer had heard that Rhett was a “recluse” and did not want to talk about Gone With The Wind, but recently information has come out about her life, and actually she wasn’t against the movie, she just went on to do so many other things in her life that it wasn’t so important to her. W. Thomas McQueeney, the author of The Rise of Charleston: Conversations With Visionaries, Luminaries & Emissaries of the Holy City (History Press) has known Rhett for many years. McQueeney’s book has a chapter on Alicia Rhett in it and a picture of Rhett with his mother. McQueeney was interviewing her about her painting and the fact that she was a successful portrait artist in Charleston, but an employee of the senior facility she lives at mentioned Gone With The Wind so they got sidetracked and talked a little about it. Rhett has visitors at the senior facility, but she also has a “guardian” who wants to ensure her privacy and has been using the party line that she does not want to talk about Gone With The Wind to keep strangers away for years. According to McQueeney she enjoyed talking about it to him and had pleasant memories of it. It is hard to believe that W. Thomas McQueeney’s 2011 book was the first book to feature an interview with Alicia Rhett, especially since she lived such a public life, as an actor, radio personality and an artist who did art shows and painted portraits. Though GWTW fans know her as India Wilkes, that role was just a blip on the radar screen of her life because she became so successful in the art world. Author McQueeney’s mother is an artist and knows Rhett through her cousin and their mutual love for art. Rhett and McQueeny’s mother’s cousin were best friends. From this family connection he has learned a lot about Alicia Rhett’s life over the years and visits her regularly. As a child, Rhett’s mother encouraged her to pursue her talents, which were painting and acting. In fact Rhett and McQueeney’s mother were two of the seven artists who started the Charleston Artist’s Guild in 1953. Back in the 1930’s Selznick’s assistant Kay Brown had located Rhett while she was doing local theatre and then George Cukor the director at the time, went to Charleston to watch her and offered her a screen test. Rhett and her mother went to Hollywood for the screen test; and once she was cast as India Wilkes, they went out together for the production. Rhett told McQueeney that she really enjoyed working on the film but was homesick. They returned to Charleston after the production. She was reportedly offered other roles but turned them down because her mother felt none of them were right for her. She resumed her interest in being in plays with the Footlight Players in the Dock Street Theatre. At the time, Charleston was, along with Boston, one of the cultural capitals of the United States and this theater group was not just run of the mill local theater. It was a major accomplishment making it into the company, so Kay Brown knew that anyone in the Footlight Players had to have talent. They are still in business today and very successful and well-respected. Besides continuing to perform in live theater in Charleston Alicia Rhett became an important painter in South Carolina. Her paintings are hung in people’s homes, The Citadel and other public places. She later became an accent coach working with aspiring actors and a radio announcer at station WTMA in Charleston. She was the illustrator on several books, including South Carolina Indians (1965) written by Beth Causey and Leila Darby. Along with Rhett, Olivia de Havilland, is also receiving the award and unable to attend, but Nicholas Inman has been in contact with her. We’ll have more about that in another article. Check out the Cherry Blossom Festival website to learn more about the award and past honorees at www.cherryblossomfest.com. Have you ever questioned what actually caused the death of Margaret Mitchell? My father Hugh Dorsey Gravitt was the man who hit and fatally injured her on August 11, 1949, and I have written a book that tells his side of the incident that killed her. My book is also published on Amazon Kindle if you are interested in what actually caused her death that was very different from what the newspapers and the police said happened to her. Wow, thanks for writing Gloria. I will be checking out your book. I actually did do some research on the day she was hit by the car, which I included in my book, but I’m sure you have a very interesting story to tell and I can’t wait to read it. This entry was posted on April 1, 2012 by gwtwbook in Gone With the Wind, Margaret Mitchell and tagged Alicia Rhett, Gone With the Wind, Marshfield Cherry Blossom Festival.